Senior & Shopmaker is pleased to announce Archives of Eden, an exhibition of recent paintings by New York-based artist Georgia Marsh. 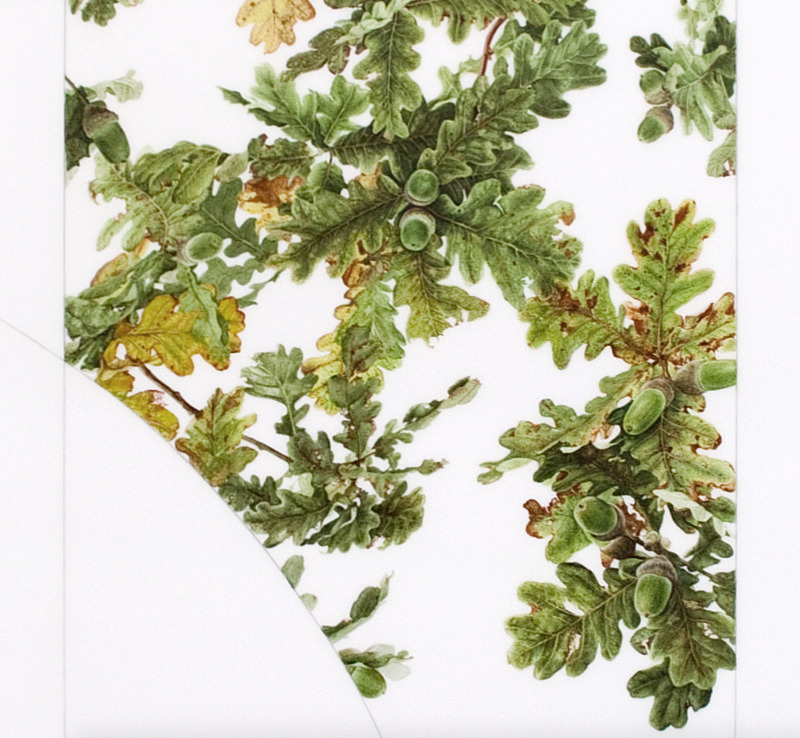 These works consist of seductively rendered flowers and plant forms painted on translucent Duralar, a polyester film that is mounted to a clear Lexan “canvas”. Marsh’s paintings combine the representation of nature with a coolly mechanical white surface suggestive of the screen of a digital device. To further distance her floral subject matter from verisimilitude Marsh crops and contains her images between curvilinear borders, thereby removing them from any suggestion of the real landscape. This truncated, interrupted vision of nature serves to break down any narrative possibility and to underscore the tension between artifice and reality. The acuity of Marsh’s vision is reflected in the finely differentiated and complex forms of her floral subjects, meticulously observed and painted. 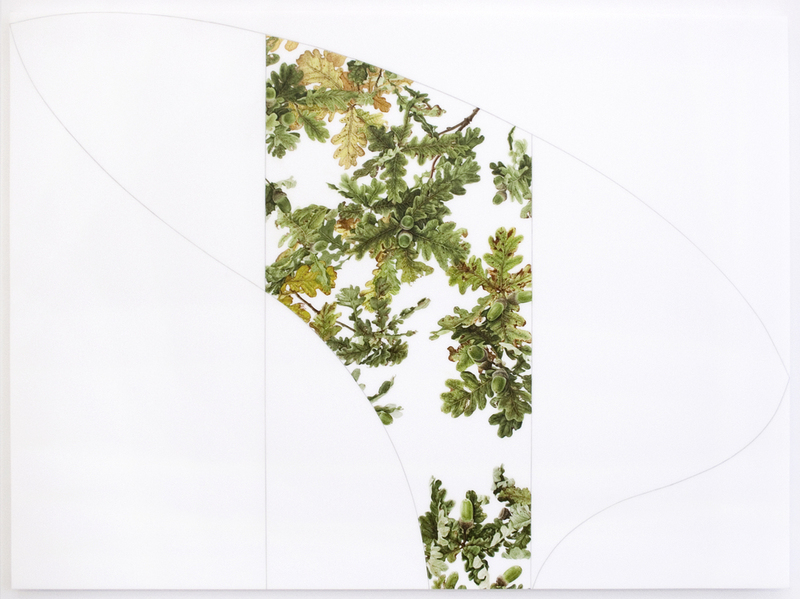 Influenced by sources such as Chinese scroll painting, 18th century wallpaper panels, textiles, and other forms of decorative arts, she draws upon the ubiquity of floral depictions across the arc of cultural traditions. Marsh began her career in the early 1970s, arriving at landscape painting through the prevailing language of minimalist abstraction. The tension between representation and abstraction, and the organic and the geometric, have been constant themes in her drawings, paintings, and prints. By imposing a formal structure over the unruliness of nature, she forces a rereading of landscape while delighting the eye with luminous and dazzling fields of color and pattern. For more information, please visit www.georgiamarsh.net or contact Betsy Senior or Laurence Shopmaker at 212-213-6767 or at gallery@seniorandshopmaker.com.